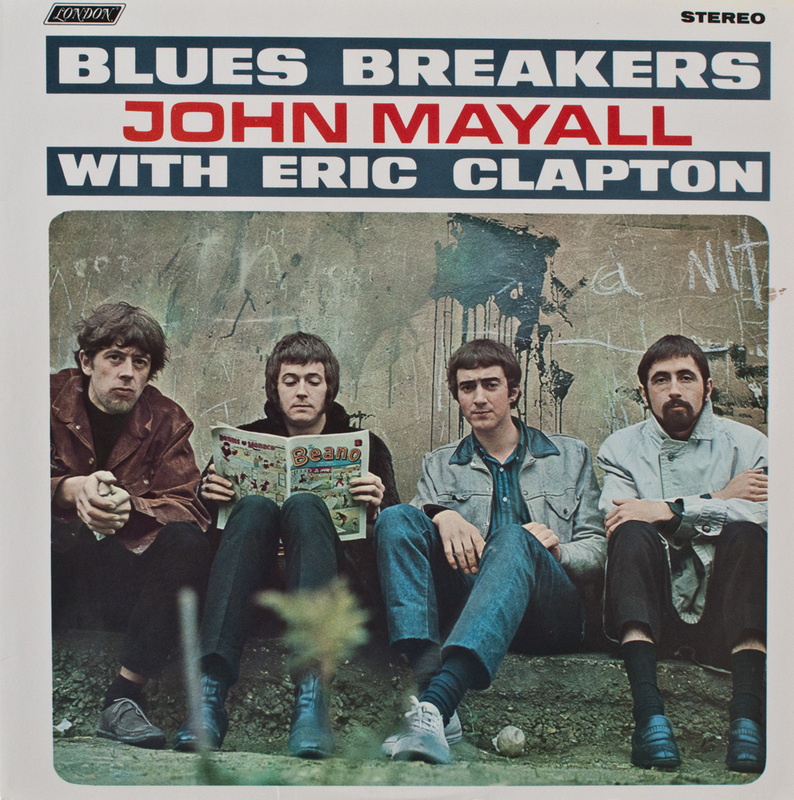 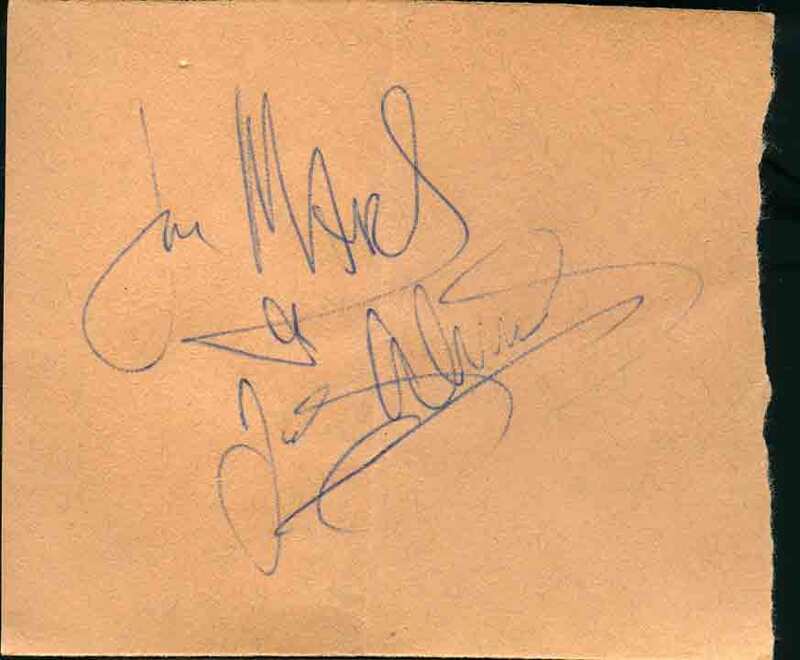 Jon Mark and Johnny Almond originally met while doing session work on the album, “John Mayall’s Blues Breakers with Eric Clapton” in 1965. Johnny Almond also worked with Zoot Money’s Big Roll Band and The Alan Price Set. 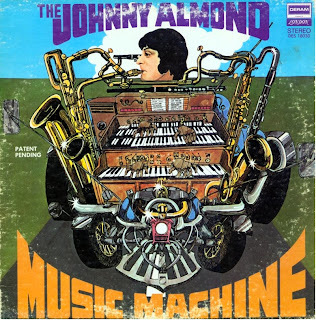 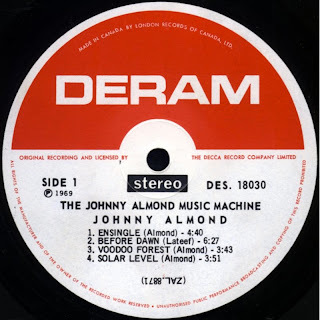 He recorded two solo albums in the late 60s and early 70s titled “Johnny Almond’s Music Machine”. 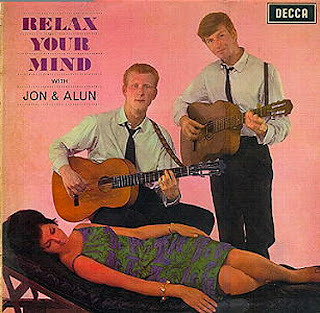 Jon Mark had done some busking, (performing on the streets), with Alun Davies in the early 60s. 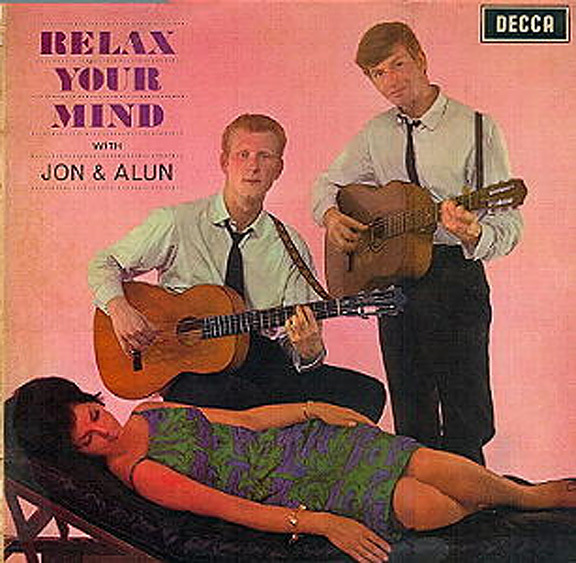 They recorded one album together in 1963, “Relax Your Mind”. Alun later became Cat Steven’s guitarist and Jon Mark went on to co-produce, with Mick Jagger, Marianne Faithful’s first recordings. 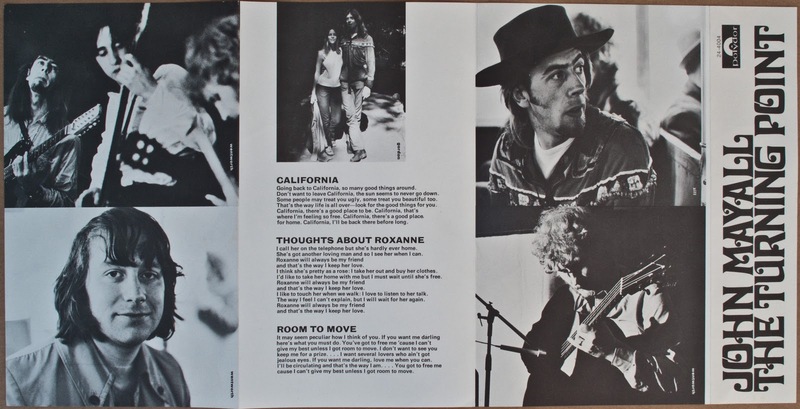 He played guitar on some of her songs and backed her live performances. He was very influential to her early sound. 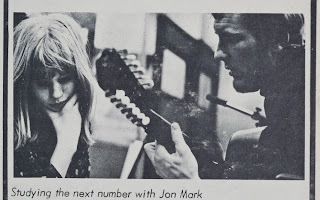 Jon Mark later formed Sweet Thursday with Nicky Hopkins and old pal, Alun Davies . 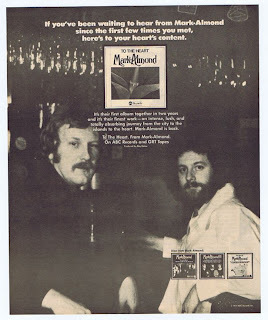 They recorded one album. 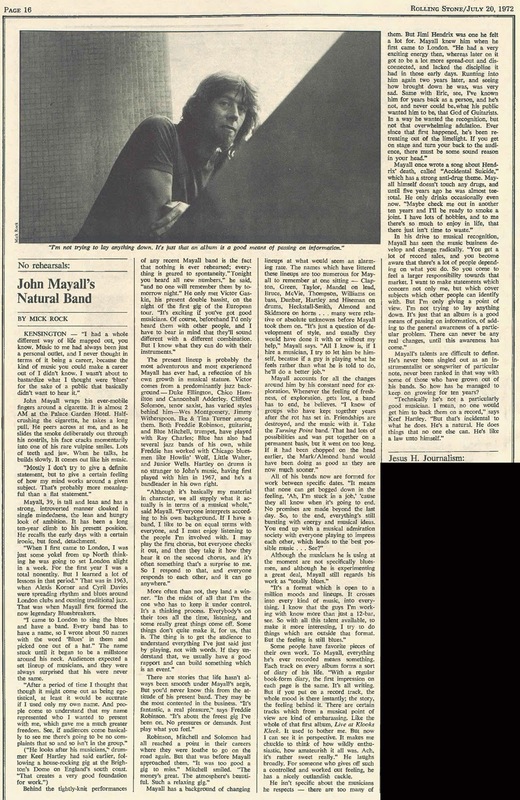 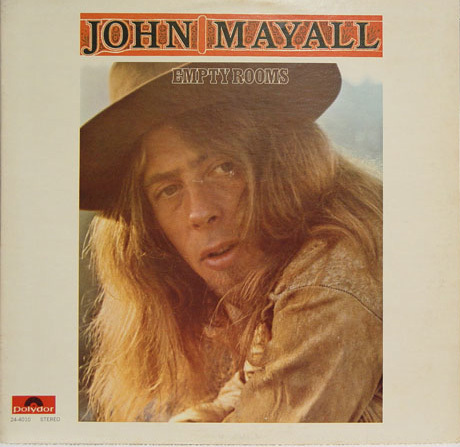 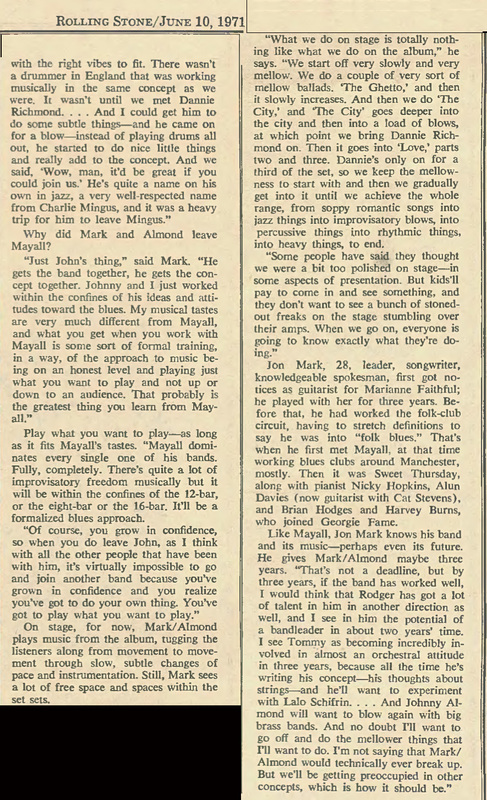 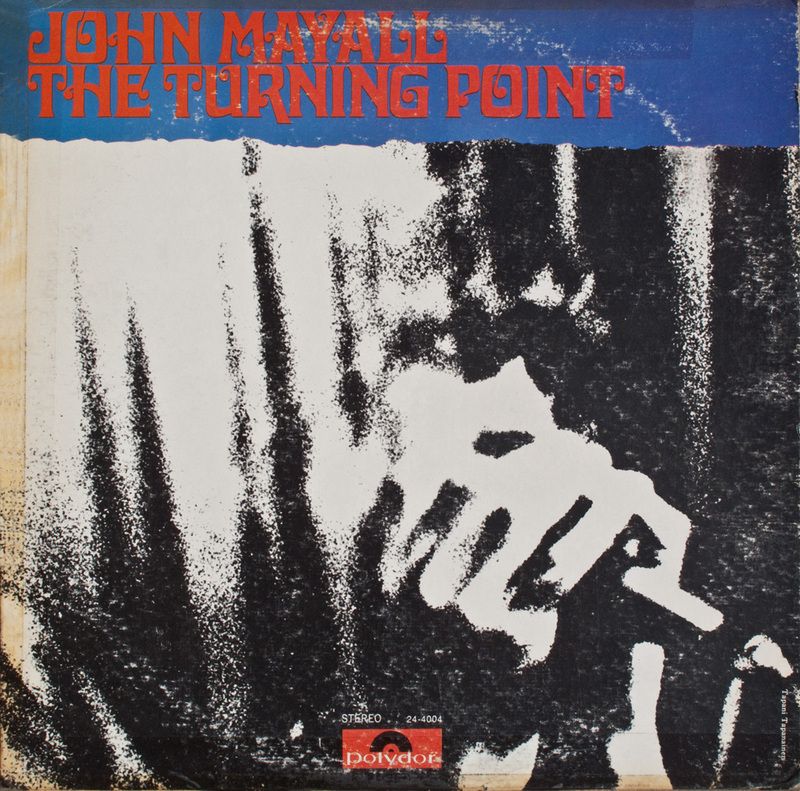 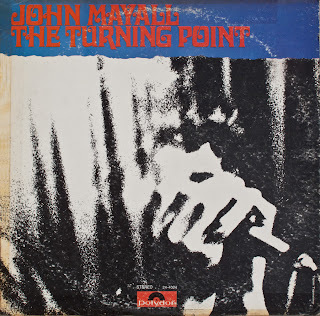 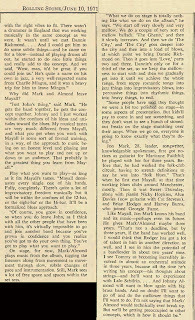 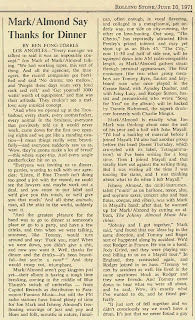 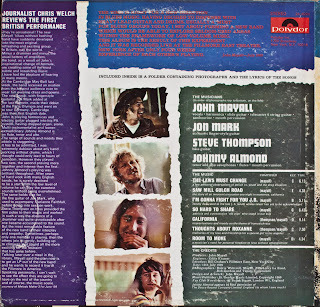 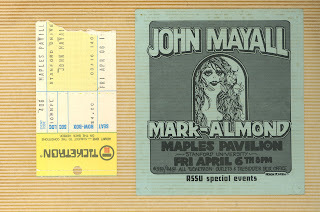 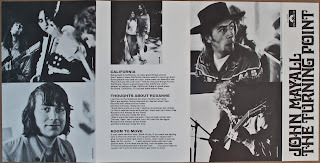 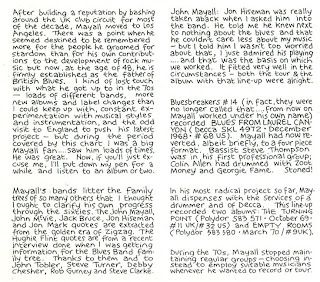 John Mayall, then looking for a new band, remembered working with Jon Mark and Johnny Almond and invited them to join. 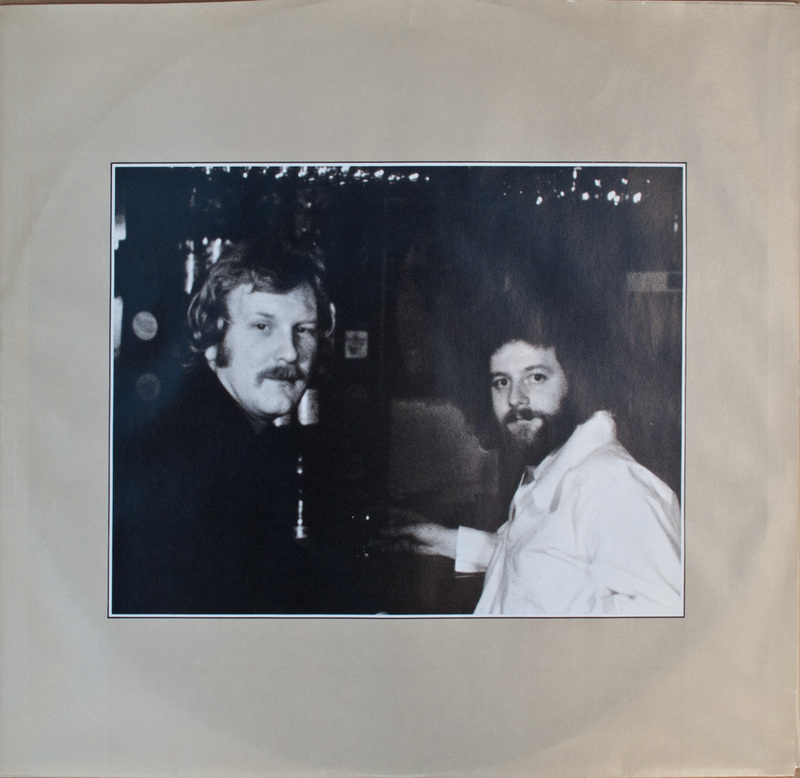 They recorded two fine albums, “Turning Point" and “Empty Rooms”. 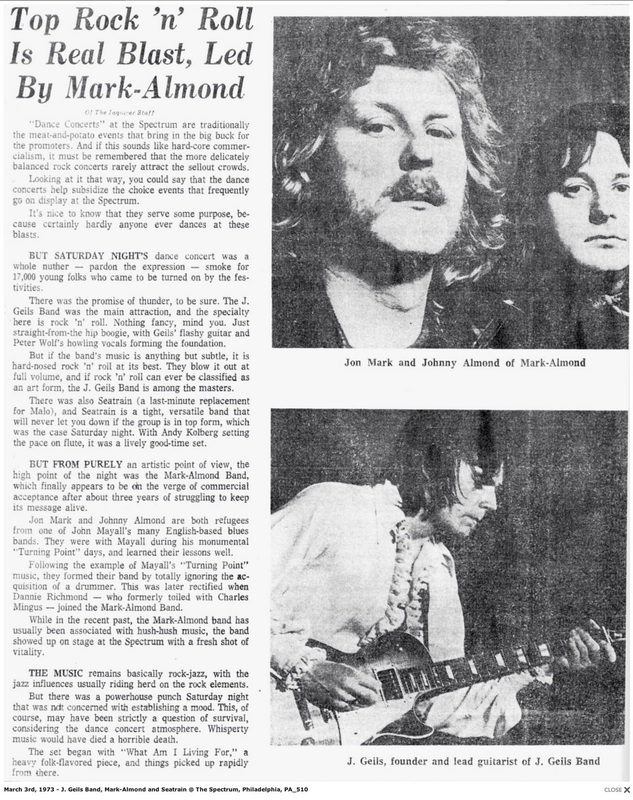 They found that they had similar musical interests and formed their own band. 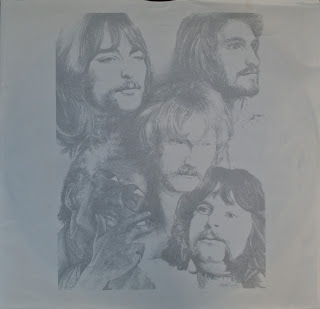 Together they recorded 6 studio albums from 1971 to 1978. 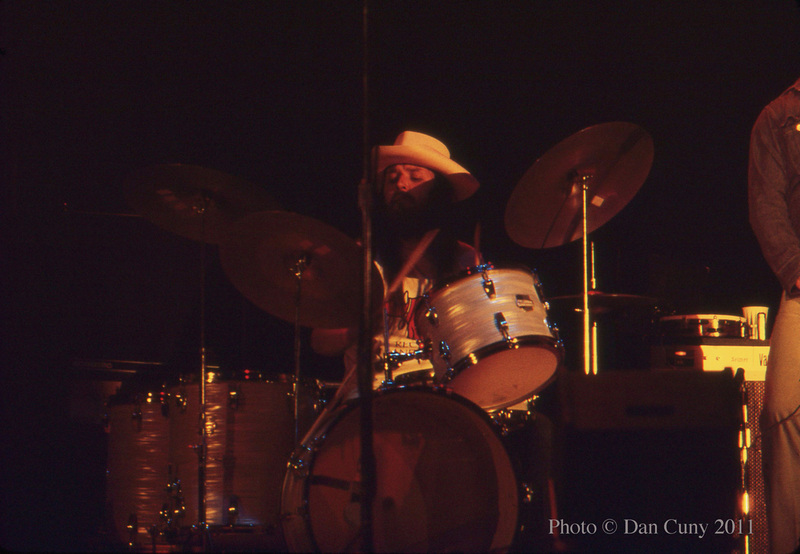 Their music was very diverse, infusing folk and blues music with American and Latin jazz. At times expanding with an African beat, they took their music to new levels of creativity. 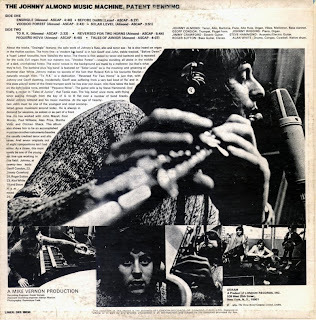 Jon Mark’s delicate, introspective songs were complimented by Johnny Almond’s jazz / blues saxophone and flute. 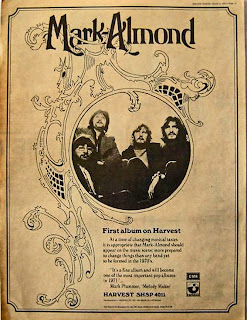 Their first three albums were popular on American FM radio. 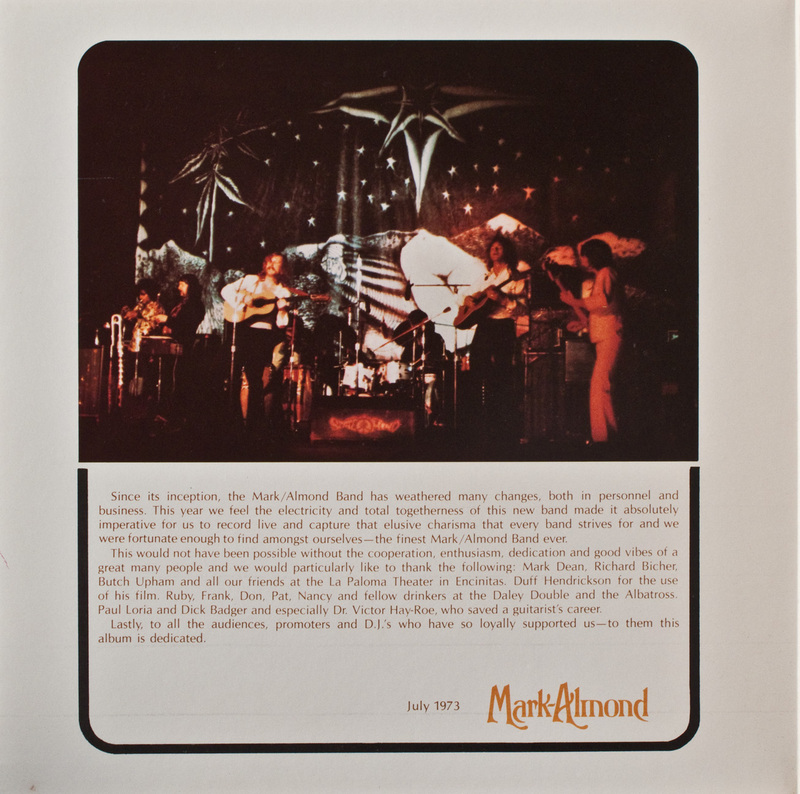 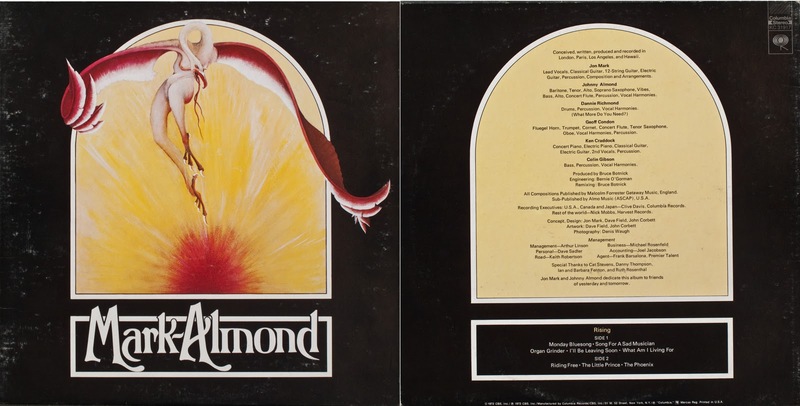 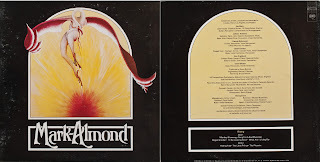 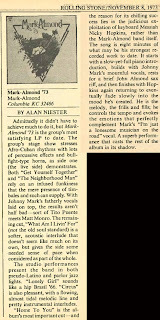 Mark-Almond expanded their audience with numerous tours in the US that led to headlining major concerts. At the peak of their success, they disbanded. 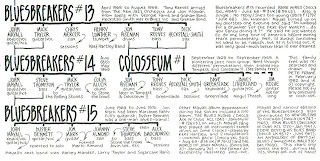 Their last concert was at Bill Graham’s Winterland on November 3rd, 1973. 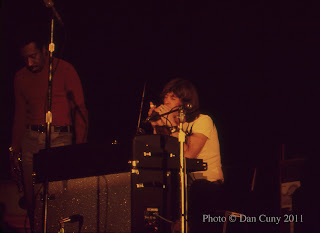 I was there when they announced it was their last performance together. Jon Mark went on to record a solo album. 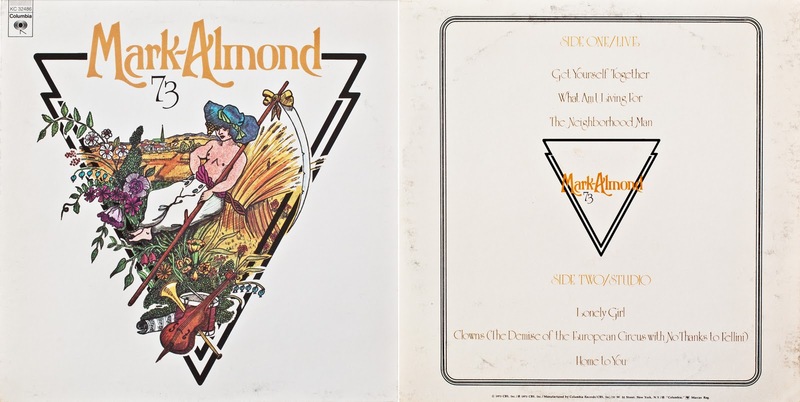 Mark-Almond reformed in 1976 to record two more albums before going their separate ways. 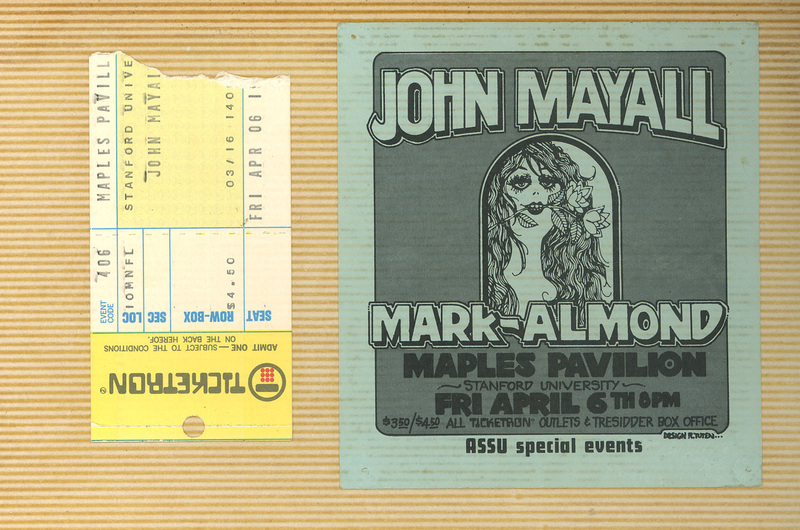 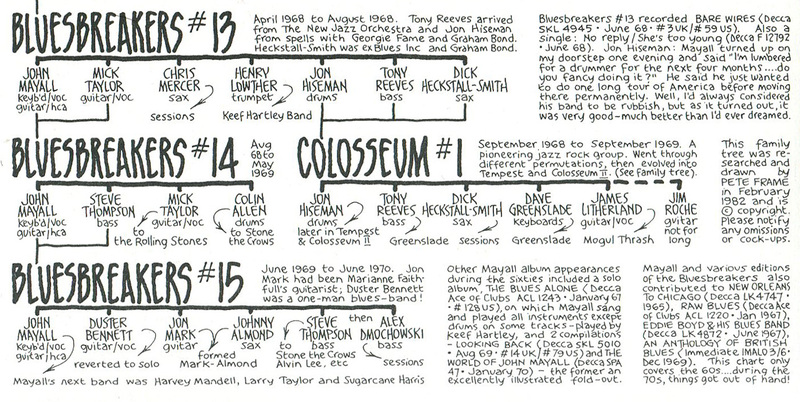 perform three times in 1973. Winterland in San Francisco in 1973. 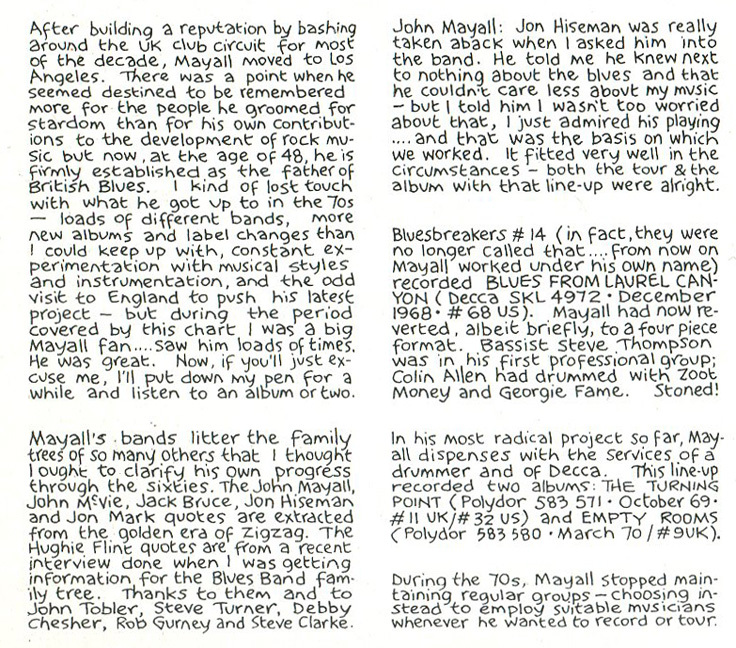 Mayall, but did not play with his band. 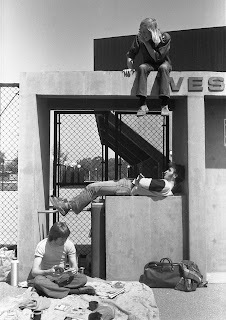 waiting at the Maples Pavilion gate. 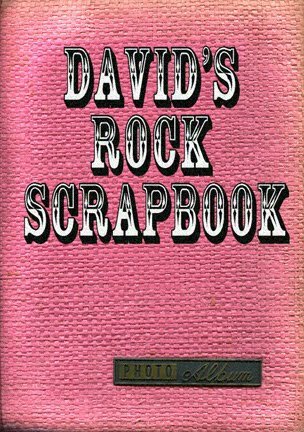 Encyclopedia of Rock & Roll"
© Rolling Stone Press 1983.
published by Omnibus Press 1993. 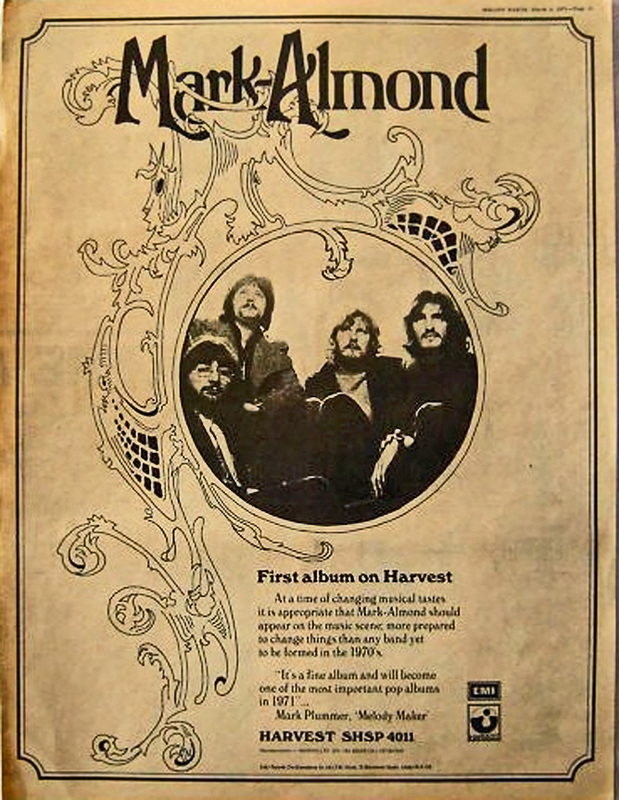 An Ad for their first album. An ad for their second album. 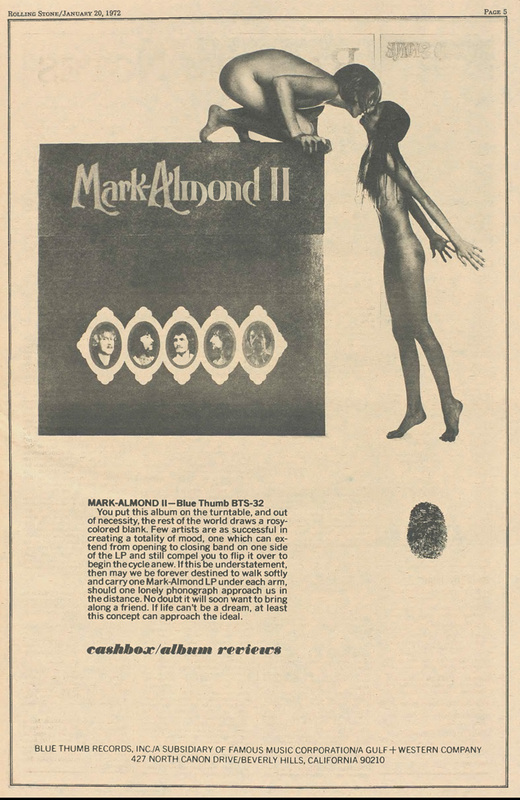 An Ad for their third album. 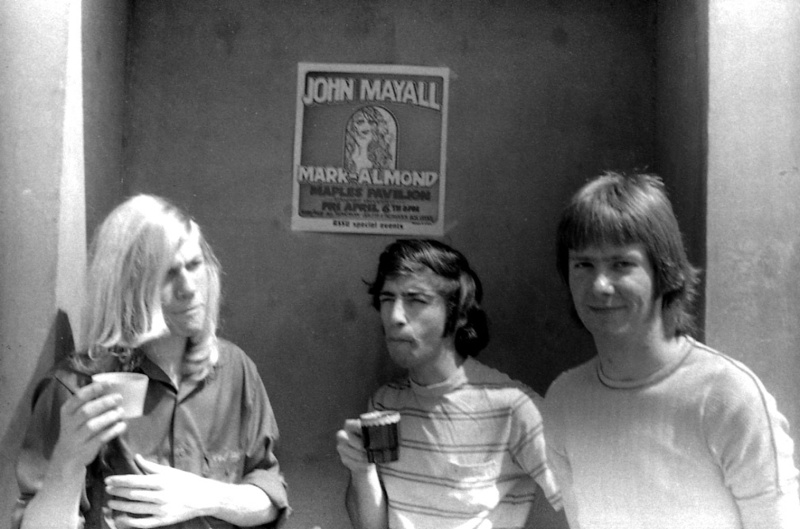 Jon Mark and Johnny Almond. 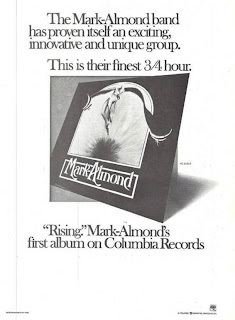 An Ad for their fifth album. 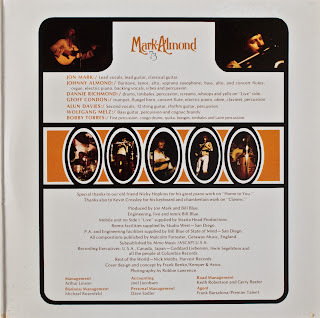 that make up the story of Mark-Almond. 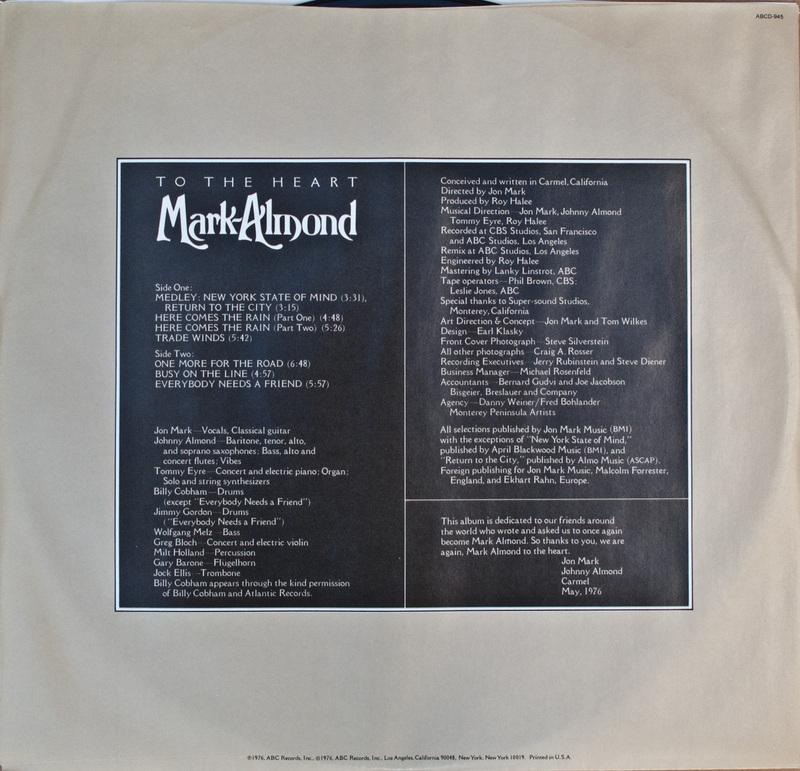 song was composed by Jon Mark. 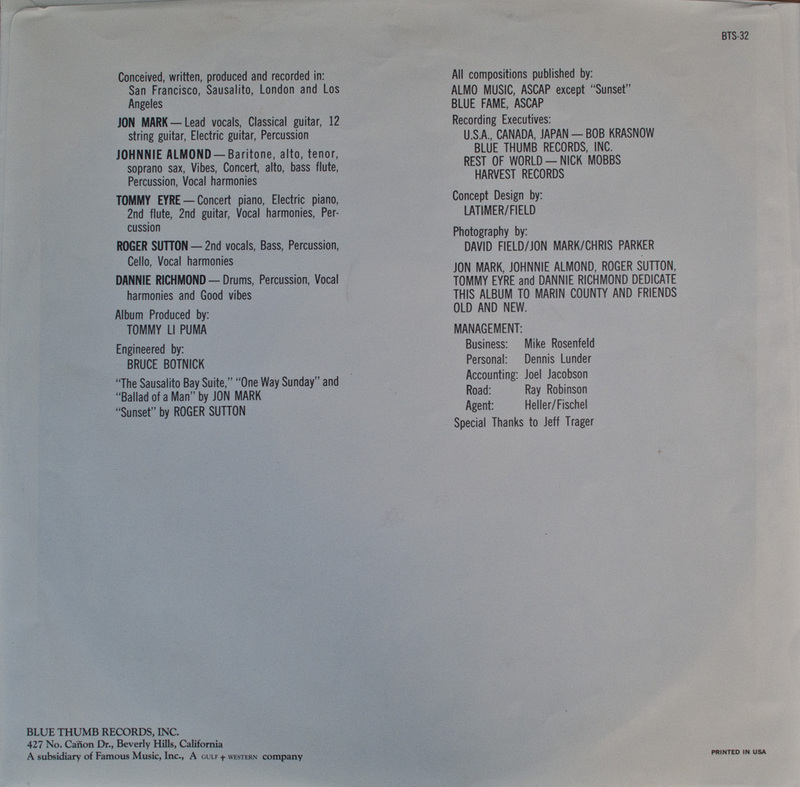 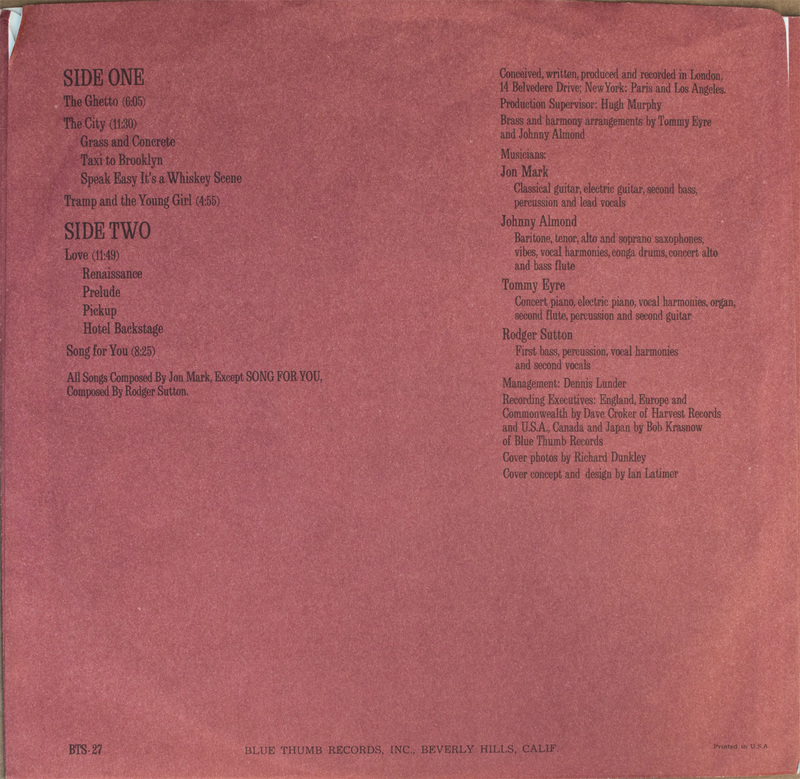 on the back cover is the Blue Thumb logo. had previously worked with Charles Mingus. 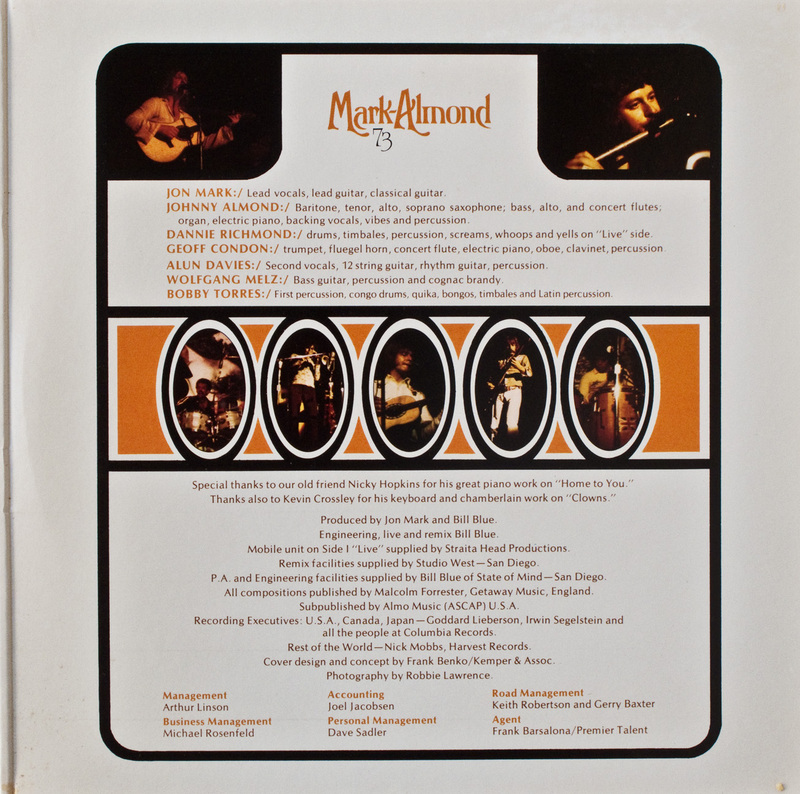 All but one song was composed by Jon Mark. 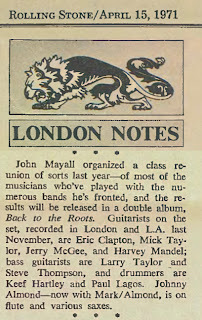 Their fourth album was half live and half studio. 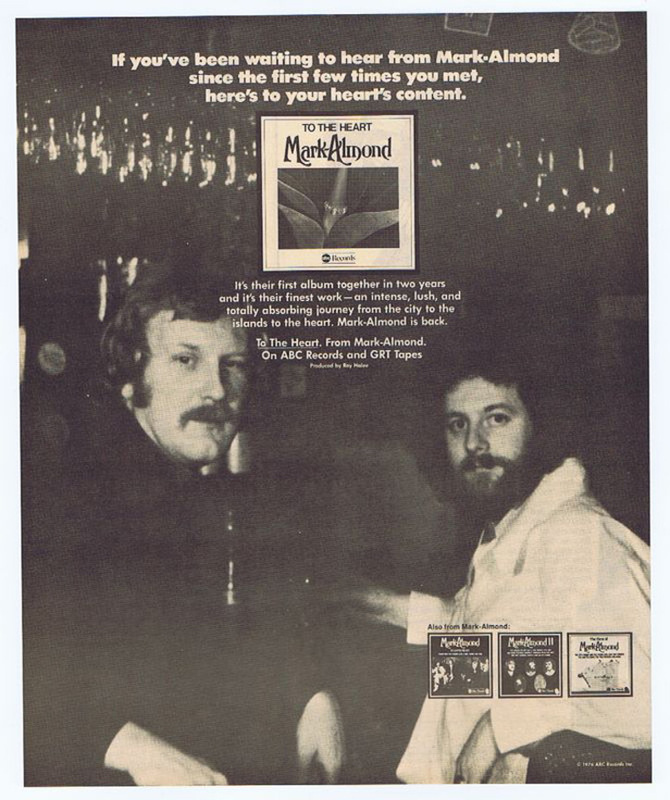 Bobby Torres, (percussion), and old pal, Alun Davies. 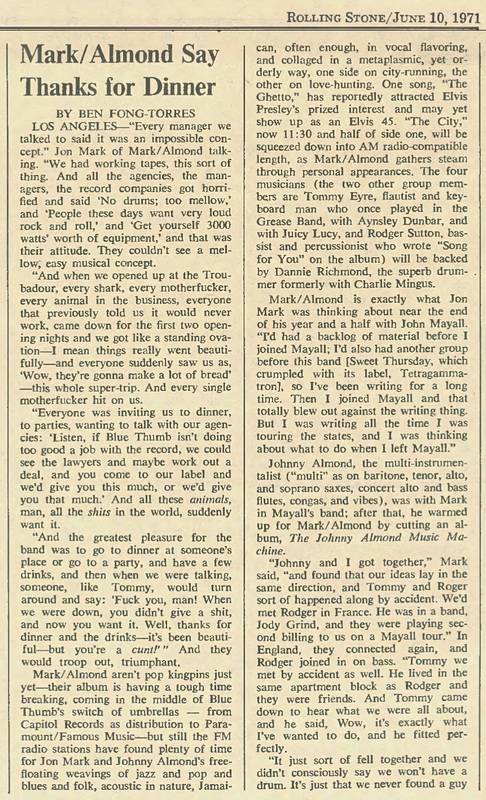 All songs composed by Jon Mark. 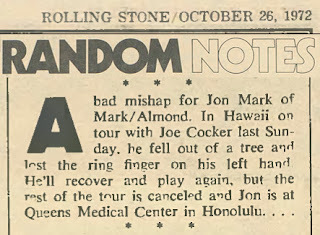 him to continue playing guitar. 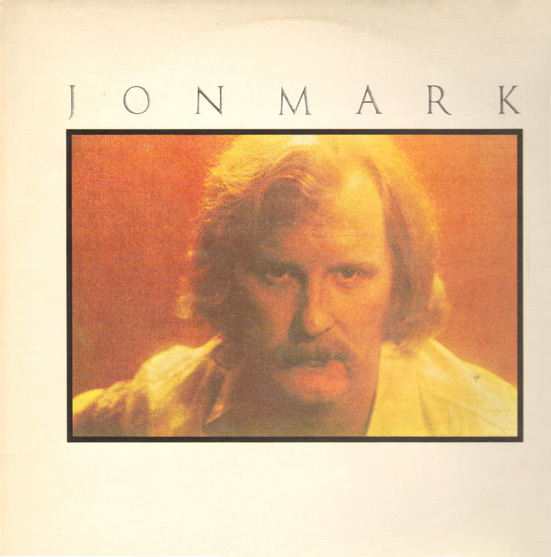 The band split and Jon Mark released a solo album. 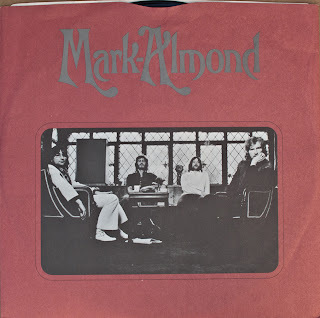 Mark-Almond reformed to record two more albums. 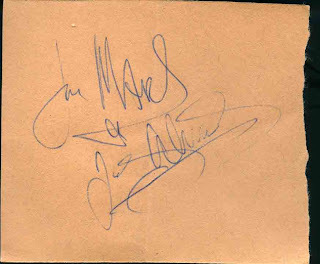 Jon Mark's first album was with Alun Davies. 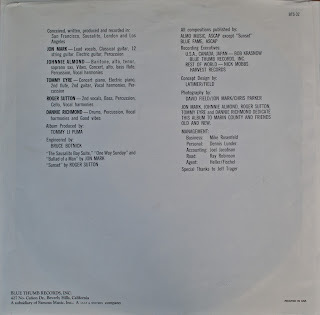 It was recorded in 1963.
with Mick Jagger. 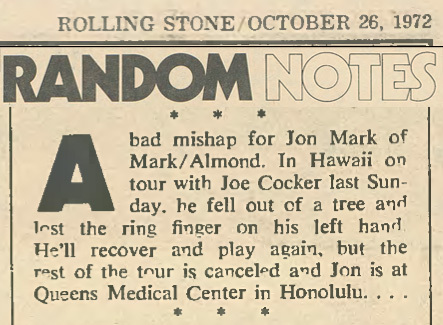 He also backed her on guitar. 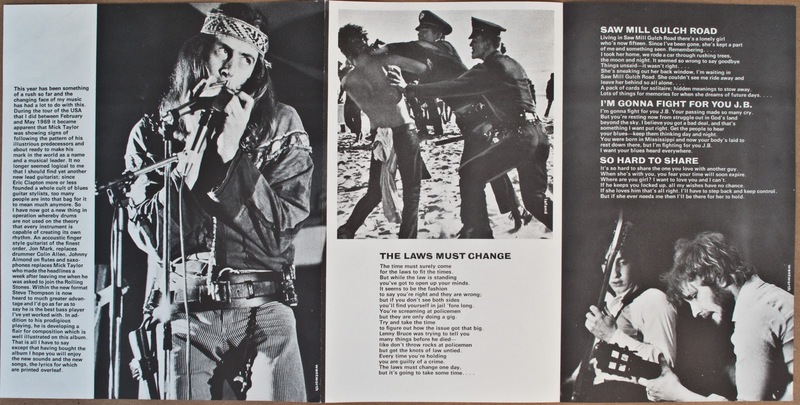 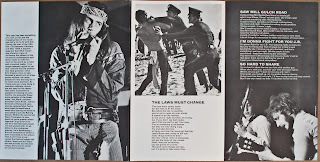 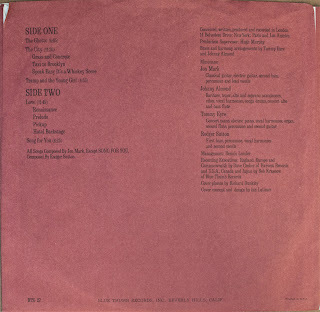 A close-up from the back cover. 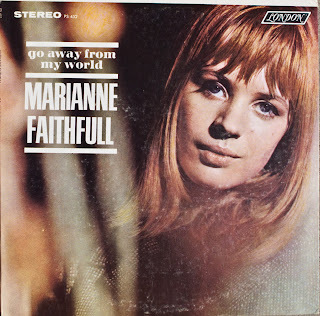 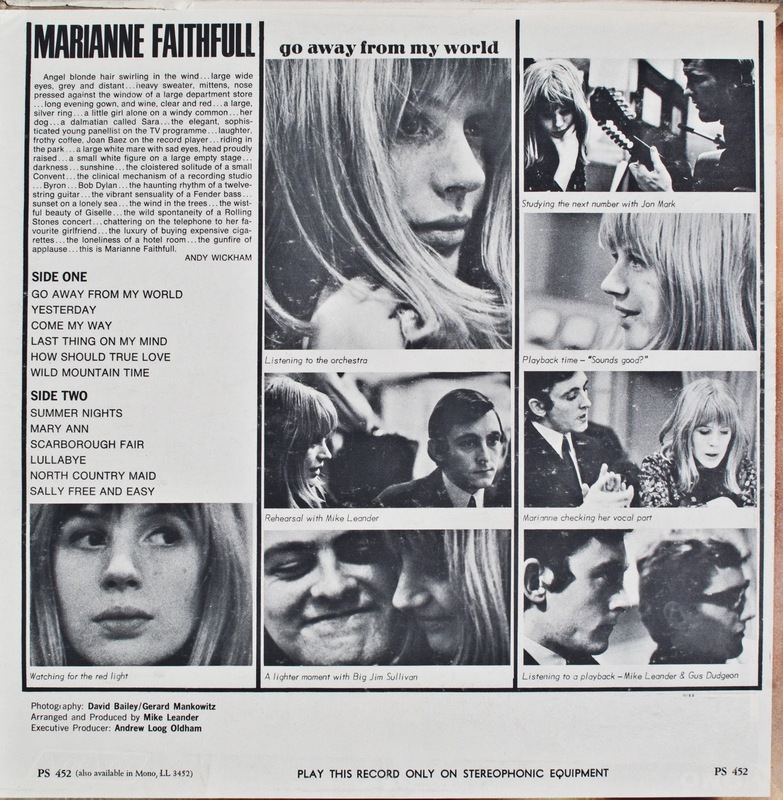 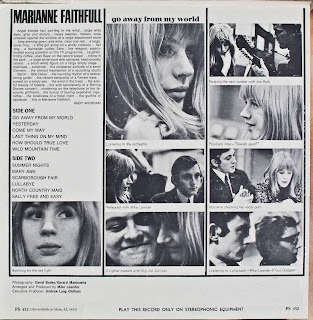 album before the Fontana label went bankrupt. 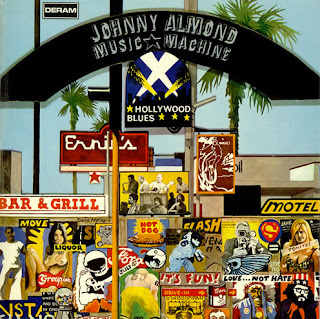 Alun Davies recorded a solo album, "Daydo"
Machine. 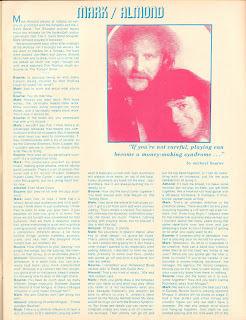 They decided they liked working together. 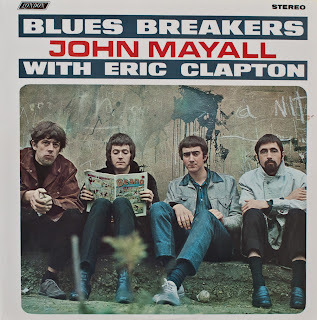 work on "Blues Breakers with Eric Clapton"
band in 1969 and recorded two albums with him. 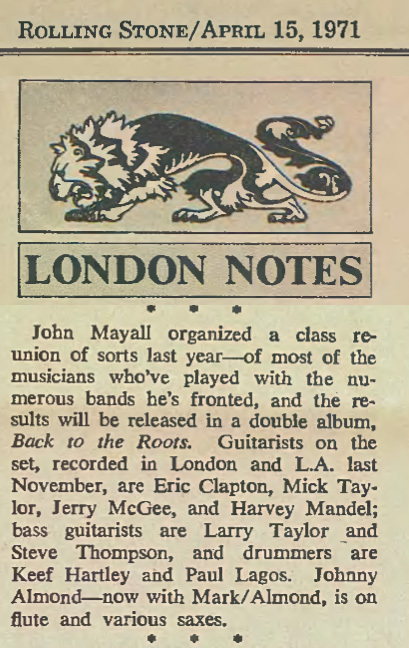 to record New Age and Celtic music. were taken shortly before he died. 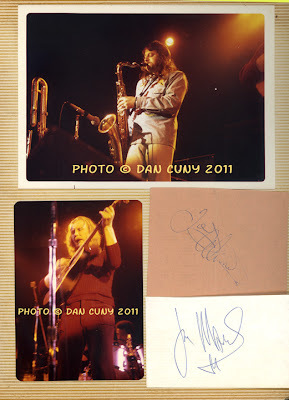 Les Sabler - "Crescent Shores"
for his generous contributions to this blog.